Originally Posted: Saturday, April 30, 2016 10:00 pm | Updated: 10:09 pm, Sat Apr 30, 2016. The 10-year-old boy had stooped down to pick up a box along the road. When Bashar woke up, his legs and half an arm were missing. He was maimed by an improvised explosive device, or IED. His father had been killed in Syria and now he was alone in Zaatari, a refugee camp in Jordan about six miles from the Syrian border, along with 100,000 other people displaced by the civil war. His mother, sisters and brothers were still in Syria. 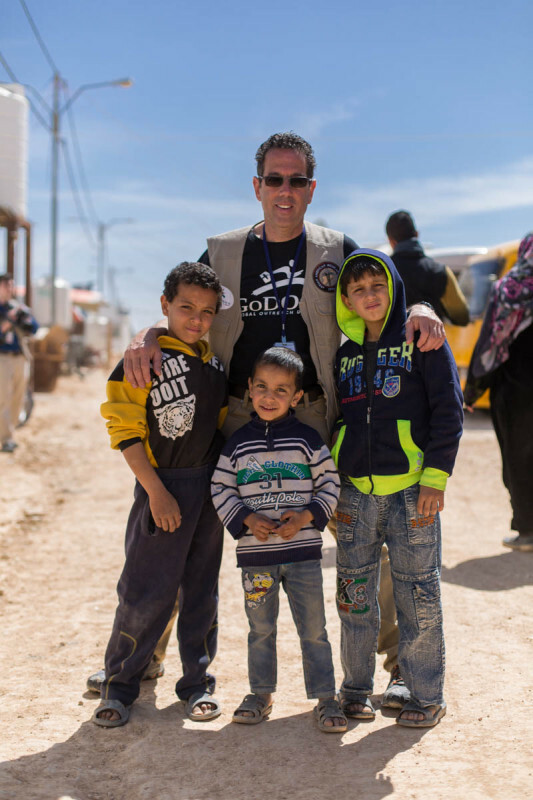 Andrew Lustig, a naturopathic doctor and founder and president of Santa Fe-based Global Outreach Doctors, met Bashar during a two-week mission at the camp in early April. They played foosball together, and the boy was treated with acupuncture for his trauma-related issues. GoDocs and its partners treated about 1,000 people a day over 10-hour days for medical conditions such as kidney stones, bacterial and viral infections, and trauma. Lustig founded the humanitarian organization in 2014 to respond to worldwide disasters in Africa, Asia, South and Central America and the Middle East. It offers both short- and long-term missions and deploys search-and-rescue canines to improve its success in locating disaster survivors. Lustig was a corporate executive for a New York City media company for two decades until, at 40-something, he decided he “wanted to do something for humanity.” He has worked for 12 years at disaster locations and areas of famine and high infant mortality. Now, he says, he gets paid in karma rather than dollars. He joins deployments around the globe every few months or so, and still pulls some EMT shifts at the Christus St. Vincent Regional Medical Center. Otherwise, he spends most of his time running GoDocs from his dining room table. It’s a small organization compared to a worldwide group like Doctors Without Borders, which has $3 billion in annual funding and operates in 60 countries with 30,000 employees. GoDocs currently has a team of about 25 to 30, but Lustig expects that number to grow to 250 worldwide within a few years. He currently has two medical directors on the team, Matthew Markert of Kansas City, Mo., and Brian Bost of Denver. In recent years, GoDocs has aided in relief efforts in Haiti, years after it was devastated by the 2010 earthquake, in the Philippines following the 2013 typhoon, in Nepal after last year’s earthquake and on Lesvos, an island off the coast of Turkey known as a vacation destination that has been dealing with the current refugee crisis. Lustic recently was assessing whether Ecuador has the resources to care for victims of the recent earthquake there or whether he should send in the GoDocs. But the World Health Organization issued a stand-down order for all nongovernmental organizations. GoDocs offers both Western and Eastern medicine and deploys both naturopaths, like Lustig, as well as homeopaths and acupuncturists. 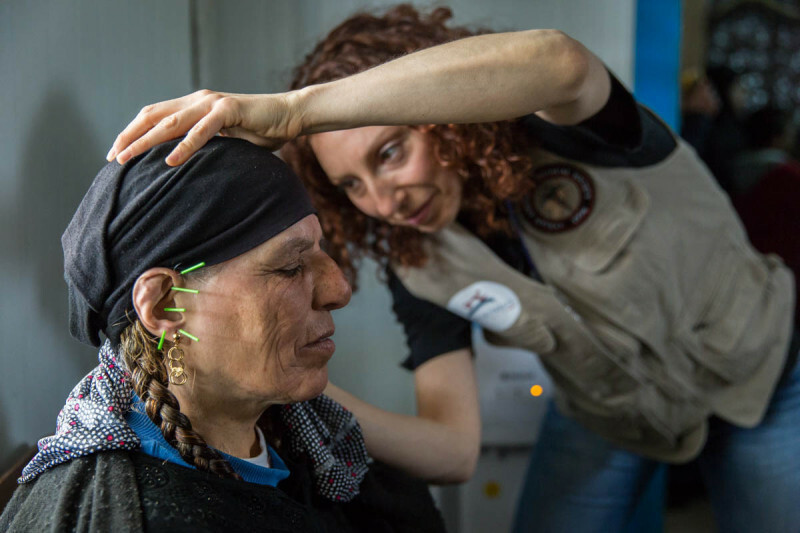 Most of the Syrian refugees living in the Zaatari camp had experienced fear, grief, anxiety and loss — and Lustig said the teams found acupuncture successful in treating their trauma quickly. “We worked with infants, children, adults and the elderly, and everyone experienced enormous physical or emotion trauma themselves or in their families,” Lustig said. That includes people whose nails were pulled out in prison and those injured by car bombs, shellings or IEDs. And those dumped at the border with the hope that they will find medical care. 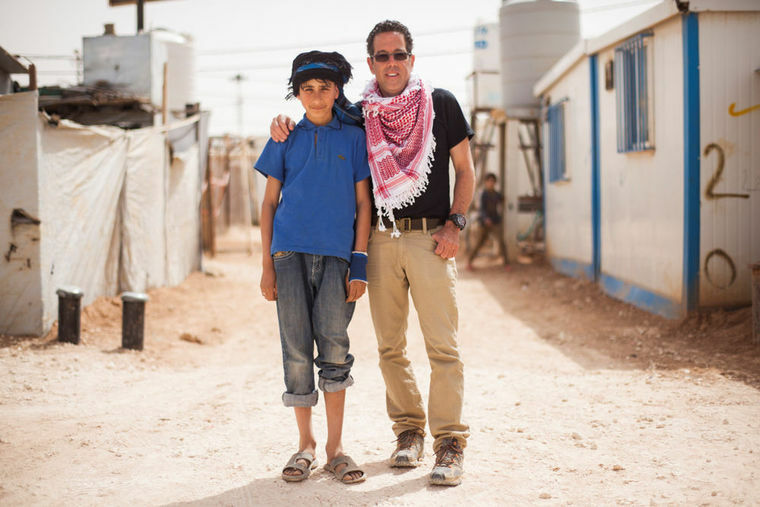 Besides Lustig and two acupuncturists, the original team deployed to Jordan in April included two nurse practitioners, five medical doctors and a photographer and videographer to document their work. The team eventually grew to about 25, including some people who initially went there on independent missions and ended up working with the GoDocs team, as well as drivers and translators. It’s sometimes tricky to get credentials to be on site, so he works with the UNHCR — the United Nations’ refugee agency — or local governments. GoDocs raises money for its missions from grants and donations to cover costs of equipment, transportation, food, water and medicines. The biggest expense is getting the team to the region. Lustig estimates that it costs between $1,000 and $2,000 to get each team member to the area. In some situations, however, such as disaster relief, airlines are willing to cover the cost of flying the team to the site. In the Philippines, former first lady Imelda Marcos offered the use of her personal plane. The teams generally find cheap, local lodging. In Jordan, they stayed at a high-security hotel in the area where they were working. The camp itself was unsanitary, with intermittent electricity and no running water, Lustig said. The GoDocs team worked out of the Armenian Medical Relief Facility, a prefabricated tin building that had exam rooms, waiting areas and some diagnostic equipment. But often on deployments, they are just a bunch of medical providers working in a tent with a line of people out front or on top of a pile of rubble with a rescue dog. Wth 60 million refugees worldwide, according to the U.N., and only one physician for every 20,000 people just on the African continent, says Lustig, there’s more than enough work for everyone.